The first time I came across Dominic Grieve, he made a fool of the Labour shadow justice minister, Paul Boateng. It was in the 1990s, at a Liberty conference on human rights. Paul Boateng opened by attacking Grieve and the Conservatives, for opposing the incorporation of European human rights into our domestic law (a Labour pledge). When Boateng sat down after ten angry minutes or more, Grieve deflated his rhetoric by pointing out that in fact he supported incorporation, and was there to make the Conservative case for it. Perhaps I might give an example of where I suspect I might be at variance with some of the views of my colleagues on the Conservative Benches, but it is a variance that I have held for a long time. The incorporation of the European convention on human rights into our national law is something that, although challenging, is nevertheless desirable if it can be done without diminishing the sovereignty of Parliament. I believe that it can. Prisoner voting is a good example. On one hand the Court says there is a wide margin of appreciation afforded to Member States to decide on the enfranchisement of prisoners recognising that there are numerous ways to organise electoral systems reflecting the differing political traditions across Europe. But on the other hand – as we can see in cases such as Frodl v Austria and Scoppola v Italy – the Court seeks to set down specific rules about the circumstances in which prisoners can be disenfranchised. It is no wonder – given these conflicting messages – that it is difficult to design a system in the UK which is compatible with the Convention rights. He was right about that. The European court did indeed keep shifting the goalposts on prison votes. Grieve went to Strasbourg to argue personally for the UK on that issue, when that Scoppola case went to the Grand Chamber of the court, and although he failed to change the court’s mind – that would have been a remarkable victory – his intervention bought time for the UK, and halted the European Court’s slide towards ever more micromanagement on prison voting. More than that: his strategy of pursuing dialogue with the European court, alongside the reforms the UK achieved at the Brighton conference in 2012, is now paying off for the UK. The prison votes issue is not solved. But the European court is now more mindful than it was of its subsidiary role and of the rights of states: its acceptance of the French ban on full-face veils is the best recent example. That is a result not only of brute political pressure from 10 Downing Street, but also, importantly, of the legal pressure exerted by Grieve’s legal argument that the court has gone astray. His work on human rights has had an effect at home, too. Grieve appeared for the government before the Supreme Court last year, again on prison votes, and urged it to depart from the reasoning of the European Court of Human Rights, and in effect say that the European Court is wrong. That was a bold submission, I wrote at the time. It didn’t succeed: but since then, judicial figures like Sir John Laws and Lord Judge have been queueing up to assert our own courts’ independence from Strasbourg on human rights questions. Again, Grieve’s ability to make the government’s case in sensible legal terms has been persuasive, and helped make the weather. His role in shifting the terms of legal debate on human rights is I think underestimated; and the political importance of those shifts is unappreciated by most Conservatives. In contrast, the silly Bill of Rights Commission achieved nothing. Too many Tories are fevered, extreme and impatient about human rights to pay much attention to any of this. 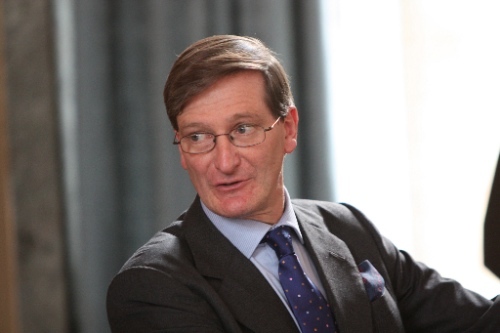 But unless a Tory government withdraws from the European Convention on Human Rights some time after May 2015 (which I think unlikely for more than one reason), future Conservatives may one day thank Dominic Grieve for the fact that they don’t have to denounce it after all. It is unacceptable and very damaging to the legitimacy of the EU for legal bases to be aggressively exploited by the Commission in order to side-step the opt-outs which have been negotiated by sovereign member states. You don’t have to be a Eurosceptic to feel that: I felt it too, after years of advising on, negotiating and implementing EU Directives and seeing just the sort of playing with legislative powers that obviously irritated Grieve. There is not just a democratic deficit in the EU but a rule of law deficit, and Grieve’s spot-on criticism of the Commission fits entirely with his support for the rule of human rights law in Europe. Grieve will also be remembered for his firm line on contempt of court. In 2011 he gave a speech expressing concern about what he thought was increasing tendency for the press to test the boundaries of what’s acceptable in terms of reporting criminal investigations and prosecutions. He reminded the press that the Contempt of Court Act bites from the moment of arrest, not charge; and he asked for restraint in reporting. But he was prepared to take action too, for instance when he took newspapers over their treatment of Christopher Jefferies. He also made clear he took seriously the threat of contempt in social media, and by jurors – not long before he had prosecuted the “Facebook juror”. Last year he prosecuted two more inappropriately Facebooking and Googling jurors. He had recently to backtrack on the Law Commission’s proposal to enable him in effect to request the temporary “takedown” from the web of old stories that could prejudice a criminal trial. But he was trying to implement a Law Commission proposal, not just a mad scheme of his own; and the problem of injustice through trial by Google hasn’t vanished, just because that proposal was controversial. Grieve was criticised by many non-lawyers over his handling of the Danny Nightingale case, but that criticism was misplaced. It’s not the job of the Attorney General to intervene in individual criminal cases or to direct prosecutions – it it were, Conservatives would be the first to accuse a Labour Attorney of Orwellian political interference. Not only was Grieve right to reject Philip Hammond’s crass, improper suggestion that he wade in: he was right to do so publicly, and quickly. If the Chancellor of the Exchequer were lobbied in public by a Cabinet colleague to intervene in a individual’s tax affairs, he would have to visibly and firmly slap down the suggestion. Grieve was put in much the same position by Hammond; and those who feel Hammond was harshly treated are, simply, wrong. There was a view inside government that Grieve was “unpolitical”, perhaps naive – too easily outmanoeuvred by colleagues – and not carrying much weight in government (as, for example, Lord Goldsmith did). But I’m not sure the Attorney General should be a very political role. As with judges, some lack of political sophistication may be a good thing in an Attorney. Of course David Cameron can, if he likes, have an Attorney who wants Britain out of the European Convention on Human Rights – or who’s at least untroubled by the prospect. But to the extent that Grieve advised (on prison votes, for example) that European court judgments had to be complied with, he was simply doing his job. The most pointless Attorney would be one who preferred to give the Prime Minister distorted legal comfort, in case the real law made him “physically sick”. Grieve was a good Attorney General. Some might say it’s appropriate that he served in a Liberal-Conservative coalition government rather than a full-bloodedly Tory one. His party has certainly moved away from him and to the right during his time in Parliament. But actually his approach has been that of a very traditional Conservative, standing up for the rule of law at home and abroad. Called 1996, not a Silk (surely this is a first? ), not actually practised since 2007. Goes well with our non-lawyer Lord Chancellor, I suppose. A fascinating post: thank you. One additional point: is there a precedent for an incumbent prime minister to sack both his (or her) Attorney-General and his Solicitor-General at the same time? It looks to me very much as if Mr Cameron and his Europhobe colleagues are planning some dubiously legal jiggery-pokery before the 2015 election and that their two main law officers were obstructing it. If I remember right, Gordon Brown sacked Lord Goldsmith and moved Mike O’Brien (arguably promoting him to pensions minister) at the same time in 2007, replacing them with Baroness Scotland and Vera Baird. But he wasn’t really incumbent, of course. Before that, after the 2001 election Tony Blair moved Lord Williams and got rid of Ross Cranston, and brought in Lord Goldsmith and Harriet Harman. I understand your feelings, but I don’t think what’s happened can really lead to too much Euro-trickery: at least not if the Liberal Democrats assert themselves. It can’t be government policy to leave or repeal anything. I think the policy arguments must have been going on within the Conservative party, and must be about their coming manifesto. I looked some time ago at the list of judges on the ECHR and was struck that most of them have risen through the bureaucracy and have little history as judges, let alone judges of distinction. Can you explain who they are and how they get to to where they are? Next post: Julian Assange: do recent changes to extradition law make any difference?